More industries are now providing off site service and assistance. When there is a need to manage and operate resources outside business headquarters, there is a need for Field Service Management (FSM) applications. FSM offers a viable off-site management solution for those with this type of work requirement. There are several reasons why FSM applications are gaining traction nowadays. An increase in the number of sectors that rely on FSM and the emergence of the Internet of Things (IoT) are just two factors that have contributed to the market growth. While there are different options available in the market, browsing through best service dispatch software 2017 reviews could be an essential step in comparing product features and other essentials. Industry experts forecast a growth in the FSM market in the coming years. Studies have indicated that the FSM market growth peaked at $1.78 billion in 2016. This trend is expected to continue in the coming years with a projected growth rate of $4.45 billion by 2022. Several factors boost the FSM market. The increasing number of industry sectors going into field operations is just one factor. Cost benefits and project efficiency also contribute to the market boost. On the other hand, the FSM market also has to address emerging challenges that include addressing software security and data confidentiality. But aside from these concerns, experts see an expansion in the FSM market in the coming years. The emergence of the IoT and cloud technology has enabled program developers to create FSM applications with remote and mobile capabilities and enabled efficiencies across sectors. IoT and cloud-based technology also facilitated advancements in real-time monitoring capabilities when tracking employee and work status. Fleet and equipment management was also made possible through cloud-based technology. The technology also enabled companies to keep up with the times by doing away with the paper-based management process. Monitoring and tracking can be done through the cloud-based application, as well as billing and invoicing for services completed. Moreover, the technology allows managers to quickly collate performance and financial data. FSM applications facilitate efficiency by providing a way to manage labor, equipment, and other resources in another location. The application also gives managers the capability to monitor resources while en route to another project or client site. Industries that rely on FSM include those that require the deployment of labor. These industries include manufacturing, construction, and property development, energy and telecommunications. Service providers that provide health or medical care solutions off-site also rely on FSM to monitor and track service personnel and transport. 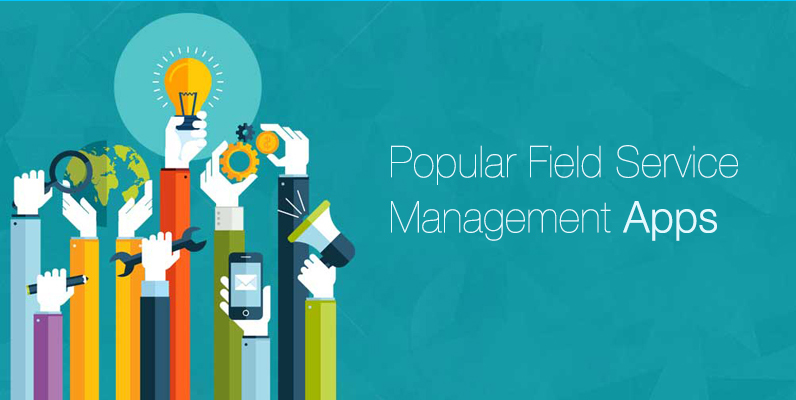 While field workers are doing off site duties, FSM applications provide managers a way to track their performance and productivity while on the field. Aside from this work management feature, the application also provides a quick scheduling and dispatch solution for managers. This ensures customer or project needs are quickly addressed by field personnel. Industry needs drive growth. So does innovation and technology adoption. As more businesses around the world venture into field service operations, the FSM market has to evolve by adapting solutions that are specifically designed for these industries.